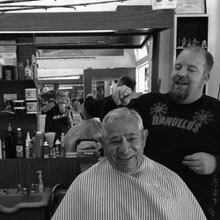 This Morro Bay barber shop is located in San Luis Obispo County and has always been frequented by locals as well as people from all over the world. In it's earlier days, Highway 1 curved at Morro Bay Blvd and Main St where Mike’s Barber Shop is located, as it came through town. As movie stars from Hollywood or Actors from Broadway would pass through on their way to Hearst Castle they would stop in for a haircut to look better and feel better. In addition, Dorn’s Restaurant, owned by Warren Dorn, would bring many high profile dignitaries past Mike’s Barber Shop. At this barber shop in Morro Bay you will feel the history of Morro Bay and enjoy old pictures and antiques that make it feel more like a museum than a barber shop. Mike’s is referenced on the website oldmorrobay.com, which is a great site to see many old pictures of Morro Bay and learn about the history of our beach community! 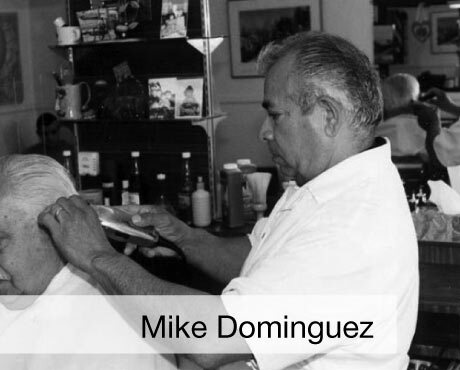 Most locals from Los Osos, Cayucos, Cambria and San Simeon have received hair cuts at Mike’s. The barbers at Mike’s work independently as their own business, providing traditional haircuts and barbering. Mike’s caters to people of all ages. Kids can look forward to lollipops, a large selection of toys, and first haircut certificates are available. Mike’s caters to seniors as well, and offers in home haircuts for those who can not make it to the barber shop. From regular gentleman haircuts, medium haircuts, flat tops, buzz cuts, mohawks, fohawks to military fades. Inquire about hot towel shaves! Mike’s is an authentic, original barber shop; feel free to read the Yelp and online reviews. From the paint to the practices, Mike’s Barber Shop has been working hard to be eco-friendly, or “green.” The shop is now solar powered! 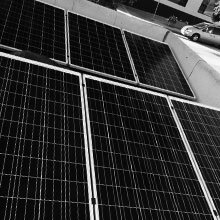 There are six panels on the roof, and energy generation can be viewed here. The original toilet has been replaced with a low flow toilet and low flow sink faucets have been installed to help conserve water. Hair is composted instead of ending up in the trash. Hair requires higher temperatures than food to compost, so Mike’s has partnered with a local group that creates the perfect conditions for composting hair. Reduced landfill is the goal, and recycling is taken seriousely at the shop. Everything that can be recycled is put in the proper place to make that happen. Grey water and rainwater collection research is the next project to benefit the garden on the side of the building. Mike’s Barber Shop, Morro Bay’s Historic Barber shop, was established in 1941. It is one of Morro Bay’s longest continually operated businesses. Recently it is most famous for the barber who hit the Mega Millions Lottery. He is since retired and no longer works here. 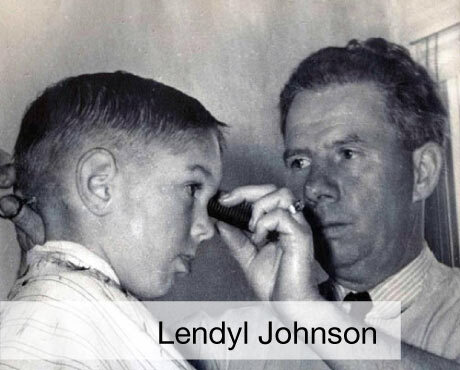 Lendyl Johnson founded the barber shop December 6, 1941, the day before the bombing of Pearl Harbor, calling it Lendyl’s Barber Shop. He and his brother owned the bakery next door which is now Pizza Port. Lendyl hired Mike Dominguez in May of 1960 and sold it to him a few years later. Mike renamed the shop Mike’s Barber Shop and worked at the shop for 52 years, from 1960 to 2012. In 2012 he won the Living Treasure Award from the Morro Bay Chamber of Commerce for his many years of great service to the community. Over the years, Mike had several barbers work for him including Holmer McClintock, and Barber Jon. In May of 2012, Barber Jon took over operations after Mike retired. Prior to that, Barber Jon he worked for Mrs. McClintock, Holmer’s wife at the Arroyo Grande Barber Shop.